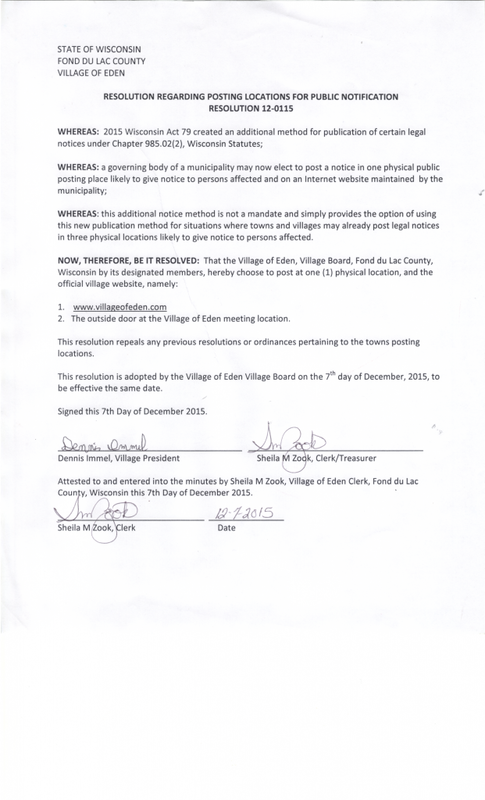 Please observe these Ordinances within the limits of the Village of Eden. If you have any questions or concerns, please contact us at villageclerk@villageofeden.com or (920) 477-4304. SIGNED ORDINANCES ARE LOCATED IN THE VILLAGE OFFICE, PLEASE FEEL FREE TO STOP IN AND VIEW DURING REGULAR BUSINESS HOURS.